This image was taken at Sydney’s Balmoral Beach, situated at Mosman in the Sydney’s north shore. At the time of taking this image, the weather was sunny and beautiful. The ceremony was under Balmoral’s famous Rotunda and I managed to take some fantastic and natural shots of the couple with the Beach side as the backdrop. 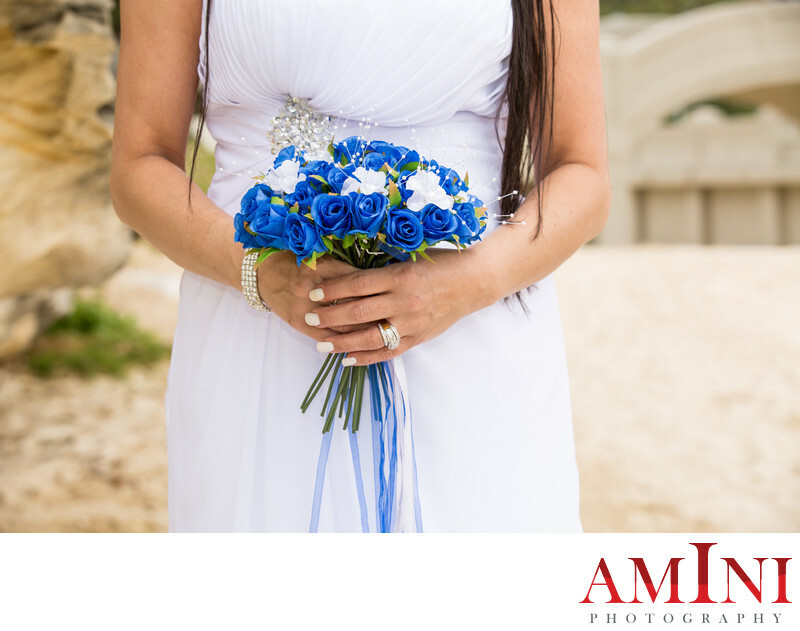 When it comes to choices for beach wedding locations, it is never a contest and Balmoral beach would always top the best Sydney beach wedding locations, with its contrasting sceneries, a photographer is always spoiled with shooting options. This beach has beautiful cliffs at one end, and pseudo-caves at the other end, with various other beach sceneries in the middle including a pier and a small island linked by a foot bridge to the main land, making this beach a perfect playground for an adventurer and creative wedding photographer. This Sydney Beach stands tall at the top of my list for the greatest shoot locations, and certainly is the case for many Sydney wedding photographers.